Experience for yourself the many benefits of digital signal processing. Our digital demonstrator provides you with an accurate listening comparison between your current hearing aids and today’s advanced hearing aid technology. We try to have a demo of the most up-to-date hearing devices in the office so you can hear what they sound like. These are not your grandmothers hearing aids; pleases see hearing aids tab for more information on the latest hearing aids. Hear for yourself what you have been missing. Hearing loss general happens so gradually that you don’t notice it. Then most have a high frequency hearing loss that is women and children voice. One might be able to hear some people while others are impossible. If you usually talk to the person you hear with minimal background noise and their voice happens to be in a frequency you can hear better in then you would think everyone else mumbles. Call and make an appointment today for a FREE hearing aid demonstration so that you can learn the new hearing aid technologies and hear the sounds of like again. You will hear what you have been missing. 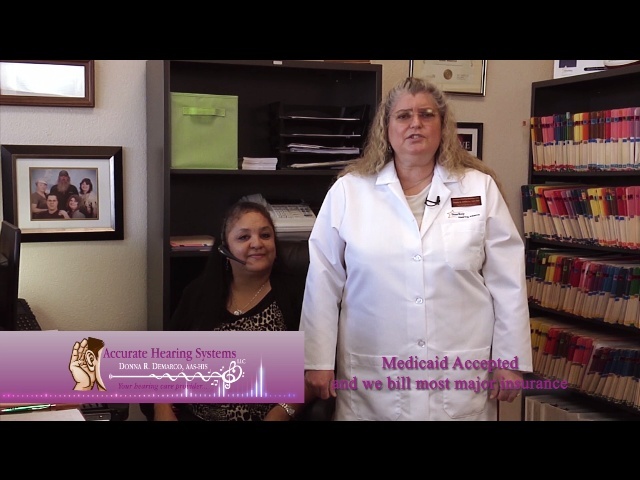 To learn more about our hearing services, contact us today! “When someone in the family has a hearing loss, the entire family has a hearing problem.” -Mark Ross, Ph.D.